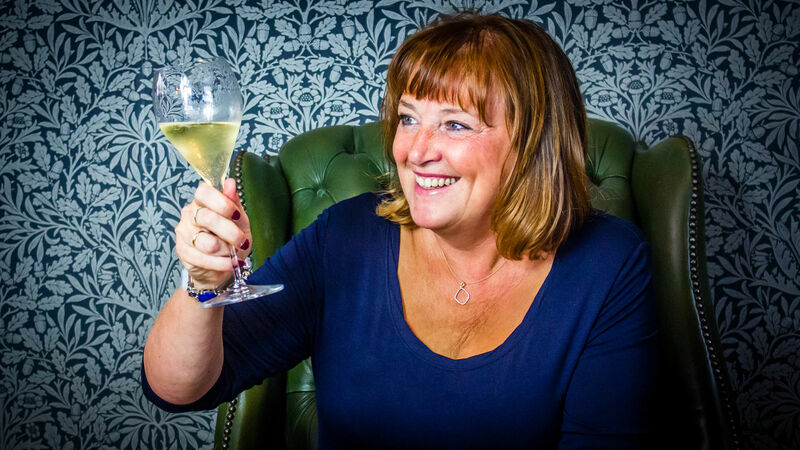 I write about wine and other drinkies in a handful of regional UK newspapers; I share my thoughts here on One Foot in the Grapes. Here’s three picks from the latest Lidl Wine Cellar collection which was released at the beginning of August. Soligamar Rioja Reserva 2011 (14% abv £8.99) This is a lovely rioja, with plenty of room to grow. It oozes dried fruits and currant cake on the nose; and to taste soft tannins are complemented by red cherries, plums and a fleck of spice. Both flavours and acidity work in partnership to deliver a good finish. Rioja reserva wines have been aged for a minimum of three years, with at least one in casks, which is why they have so many layers of tastes and aromas. Süditrol Alto Adige Gewürztraminer 2015 (13.5% abv £7.99) It is a light straw colour and aromas include a hint of pineapple, lemon, fresh green apples and gentle dabs of honey. Juicy acidity is balanced with a good citrus flavour. It isn’t an overpowering gewürztraminer overladen with aromas of rose petals and Turkish delight, but a more subtle version from Alto Adige, Italy’s most northerly mountainous region. Paço do Bispo Vinho Branco, Palmela 2015 (12.5% abv £4.99) This is a tasty white wine from Portugal for under a fiver. The glass delivers aromas of pears, with a hint of mandarin and a touch of dried honey. Then your tastebuds zing with a burst of apples and lemon, together with a tang of mouth-watering acidity. I’m told sales of Portuguese wines at Lidl have grown by 57.67% as the wines have improved due to investment in vineyards and cellars over the last 20 years. A total of 40 wines make up the Lidl Wine Cellar collection, which have been available in store from early August while stocks last. The wines range from £3.99 up to £15.99, for the Bissinger Champagne Premium Cuvée.